"Carly" has been amazing in the ring! 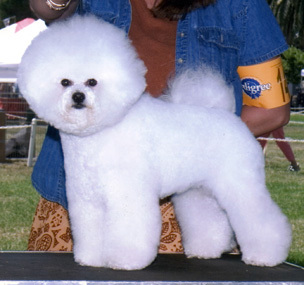 She took first in her class at the Bichon Frise National of 2006 with great flair. And it shows that she loves showing in the ring. She also loves being cuddled by Bill and Verna File.